Welcome to our website. We hope you make yourself at home, but here are some things to keep in mind. Contract of Carriage: All tickets are subject to our Contract of Carriage. Copyright Notice: This Frontier Airlines website is Copyright © 2018, Frontier Airlines, Inc. All Rights Reserved. 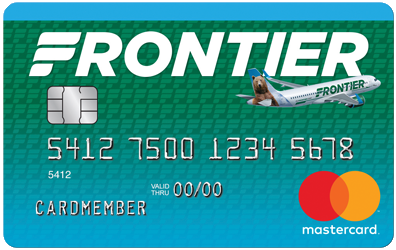 Trademarks: Frontier, FlyFrontier.com, and the Frontier signatures (symbol, logos, and type) are among the trademarks and/or service marks owned by Frontier Airlines, Inc., and no trademark or service mark license is granted in connection with the materials contained in the Frontier Airlines website. This list is not exhaustive, and Frontier may own other marks that are not included here. Warranty Disclaimer: THIS WEBSITE AND ALL OF THE INFORMATION IT CONTAINS ARE PROVIDED "AS IS" WITHOUT WARRANTY OF ANY KIND, WHETHER EXPRESS OR IMPLIED. ALL IMPLIED WARRANTIES, INCLUDING, WITHOUT LIMITATION, IMPLIED WARRANTIES OF MERCHANTABILITY, FITNESS FOR A PARTICULAR PURPOSE, AND NON-INFRINGEMENT, ARE HEREBY EXPRESSLY DISCLAIMED. Limitation of Liabilities: UNDER NO CIRCUMSTANCES WILL FRONTIER AIRLINES, INC. BE LIABLE TO ANY PERSON OR BUSINESS ENTITY FOR ANY DIRECT, INDIRECT, SPECIAL, INCIDENTAL, CONSEQUENTIAL, OR OTHER DAMAGES BASED ON ANY USE OF THIS WEBSITE OR ANY OTHER WEBSITE TO WHICH THIS SITE IS LINKED, INCLUDING, WITHOUT LIMITATION, ANY LOST PROFITS, BUSINESS INTERRUPTION, OR LOSS OF PROGRAMS OR INFORMATION, EVEN IF FRONTIER AIRLINES, INC. HAS BEEN SPECIFICALLY ADVISED OF THE POSSIBILITY OF SUCH DAMAGES.